Voted Best Physical Therapist Four Consecutive Years! See what ESPT fans are saying about the Best in Fremont. All Physical Therapy Is Not Created Equal. If we can get world-class athletes better and back to health, we can get you better too. We offer top-notch physical therapy and fitness programs, including TRX Training, Pilates, and Sport Specific Conditioning. We are open Monday to Friday, 9am to 7pm and Saturday, 8am to 5pm. Early morning and evening appointments available, urgent appointments accommodated. At Elite Sports Physical Therapy we promote health, wellness and fitness to help people develop, restore and maintain movement. You will experience the difference being a part of the ESPT community because of the individual care that you will receive and because we believe that every member of your care team can help you make progress towards your goals with every session. For more than a decade, Elite Sports Physical Therapy has been recognized as one of the leading physical therapy providers in the East Bay, serving the communities of Fremont, Newark, Union City, Hayward, Milpitas, San Jose and beyond. Our services include physical therapy, performance training, and wellness services. 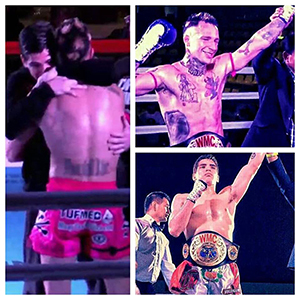 Congratulations to ESPT sponsored professional Muay Thai Fighters Gaston “Dreamkiller” Bolanos and Kevin “Soul Assassin” Ross on winning their World Muay Thai Council title fights on Nov. 28 in Peru. Both won their fights by TKO, a testament to their hard work, dedication and skill. Proud to be working with these two great champions! 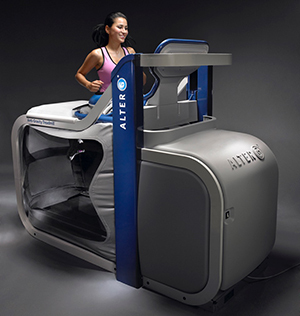 The AlterG Anti-Gravity Treadmill is a game-changer in the physical therapy world. By using cutting-edge patented NASA technology, the AlterG allows users to eliminate pain and improve mobility. Walk better, feel amazing, and run faster with this tool that is available to professional sports teams, leading research hospitals, premier rehabilitation facilities, and now at ESPT! Call us today at 510-656-3777 to set up your appointment to try it out.